Mary Callahan Erdoes/J.P. 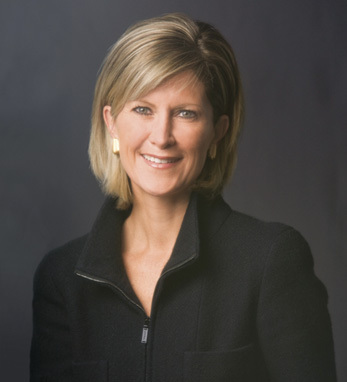 Morgan Chase & Co.
Mary Callahan Erdoes is CEO of J.P. Morgan’s Asset Management division, a global leader in investment management and private banking with more than $2.0 trillion in assets under supervision. In addition to being a member of J.P. Morgan Chase & Co.’s Operating Committee, Mary leads the firm’s strategic partnership with Highbridge Capital Management and Gávea Investimentos. She joined J.P. Morgan in 1996 from Meredith, Martin & Kaye. A graduate of Georgetown University (B.S.) and Harvard Business School (M.B.A.), Mary was recognized by Forbes and Fortune magazines for their “World’s 100 Most Powerful Women” and “50 Most Powerful Women in Business” lists, respectively. This year, Bloomberg Markets magazine named her the Most Influential Money Manager as part of its “World’s 50 Most Influential People” list.